De Mille was educated at the Saint John Grammar School, Horton Academy and Acadia College. 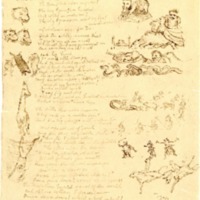 During 1850-1851 De Mille toured Europe and Britain with his brother, Elisha. 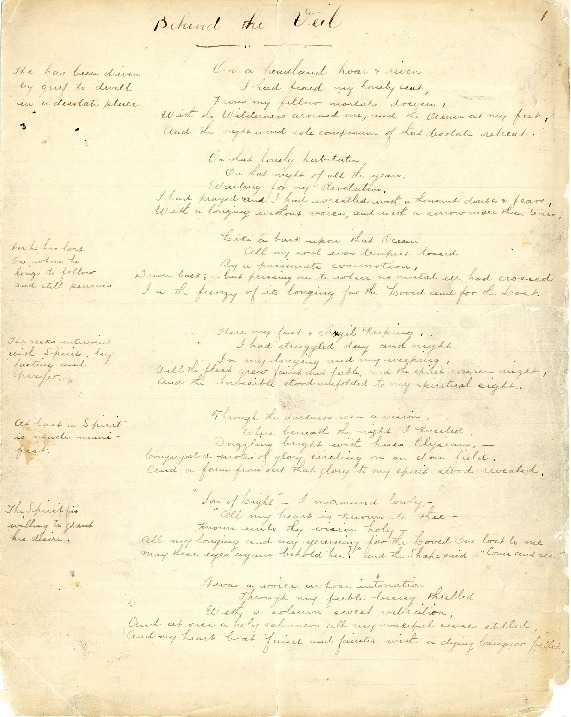 He received an MA from Brown University, Rhode Island, in 1854. In 1858 he married Elizabeth Ann Pryor, daughter of Dr. John Pryor, first president of Acadia College. Together they had three sons and one daughter. De Mille worked briefly in Cincinnati before returning to Saint John. 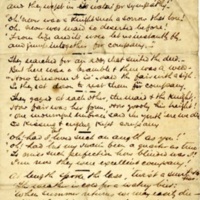 From 1856-1860 he and a partner ran a bookstore there, a venture that left De Mille in debt; shortly thereafter he began teaching classics at Acadia College. 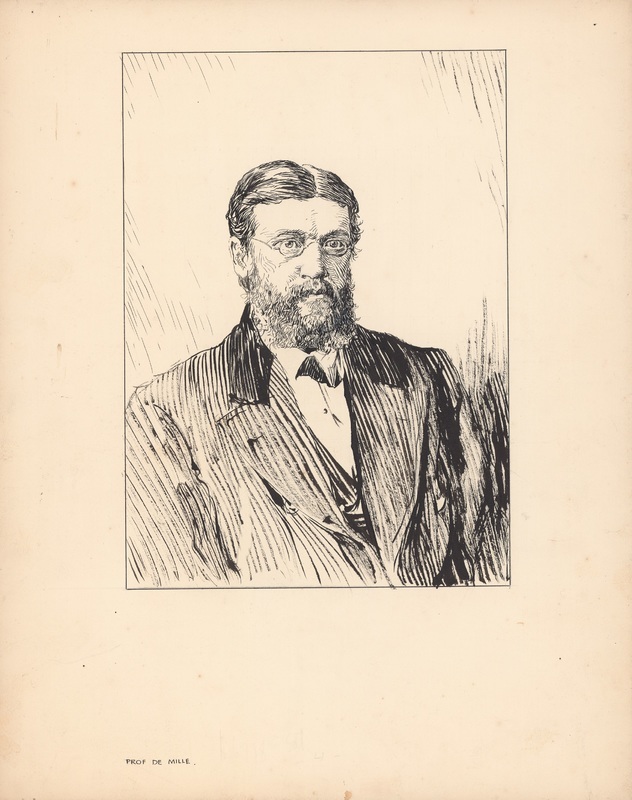 In 1865 he moved to Halifax, where he taught history and rhetoric at Dalhousie University and became well known for his love of Latin and the outdoors. He remained at Dalhousie until he died of pneumonia in 1880. 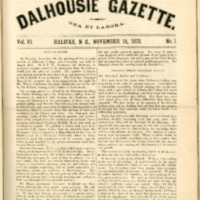 This issue of the Gazette features an inaugural address given by De Mille at a Dalhousie convocation in 1873. 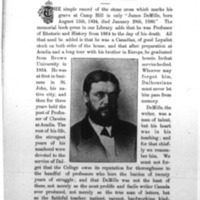 In 1883, the Gazette published a biography and photograph of De Mille in honour of the late professor. 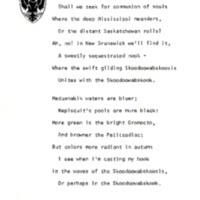 This poem was edited by Archibald MacMechan and published posthumously in 1893. Minerva Tracy, “DE MILLE, JAMES,” in Dictionary of Canadian Biography, vol. 10, University of Toronto/Université Laval, 2003–, accessed September 18, 2017, http://www.biographi.ca/en/bio/de_mille_james_10E.html.